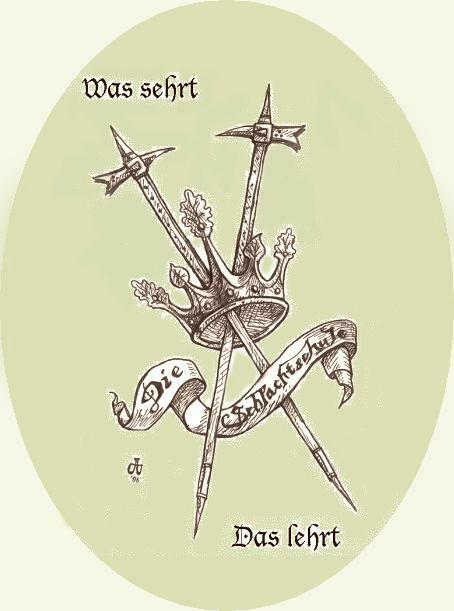 "Die Schlachtschule" or "The School of Battle," is a group dedicated to the study and teaching of the martial arts of medieval Europe. We use the surviving medieval fencing manuals, or fechtbücher, to try to learn the ways of combat practiced by medieval knights. 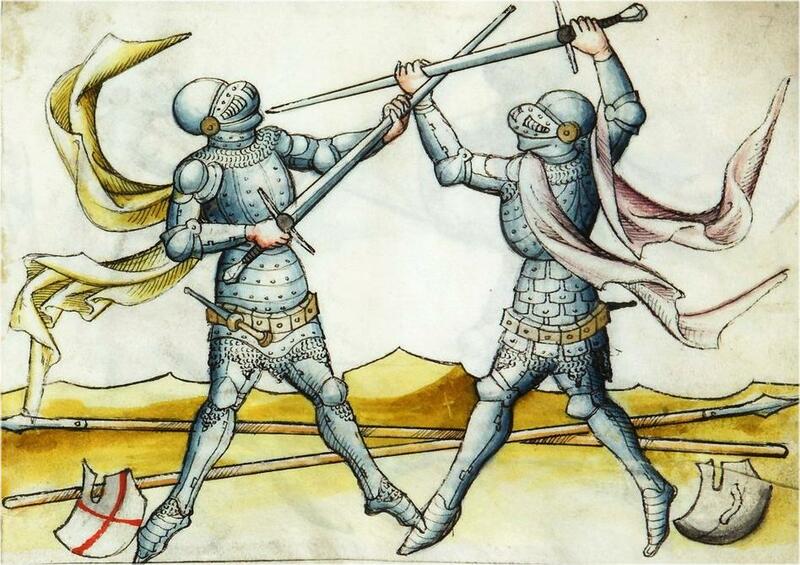 Medieval martial masters were concerned with teaching all forms of combat, from wrestling to dagger to sword and buckler to longsword to pollaxe, fighting both in and out of armor. Their manuals included instruction in the strategy and tactics of combat as well as the techniques themselves. Die Schlachtschule attempts to match those ancient schools by teaching a complete system of medieval combat, both armored and unarmored. On this site you will find information about us as a group and about the arts that we study and teach. We hope that your visit will be a pleasant one, and if you find a personal connection with this material, please contact us to learn more. copyright 2009 Hugh T. Knight, Jr. All rights reserved.